Duncanville took the ball on their own 30-yard line in the first quarter, and in six plays scored their first TD against SGP. Quarterback Ja’Quinden Jackson scored on a 28-yard run for pay dirt. PAT by Victor Escalona was good, and Duncanville led 7-0 with 7:12 in the first quarter. 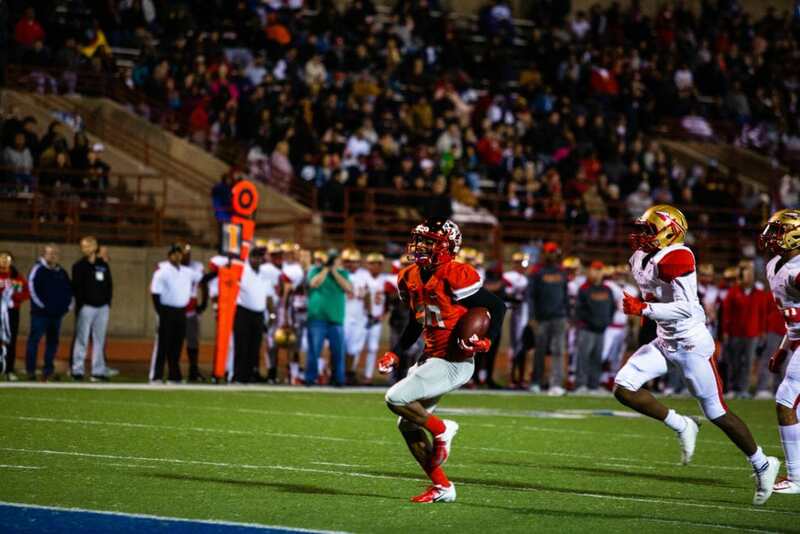 SGP came back almost immediately (2 minutes later), working with a pass- run offense to score their own TD. Quarterback Drake Logan had a 31-yard run for the score, and PAT was good. The first quarter ended 7-all. Just seconds into the second quarter, SGP scored their second TD on a 54-yard pass completion from Logan to receiver Titus Jackson. PAT by Christian Vasquez was good. There was 11:46 left in the half and SGP led. This was the first time all season Duncanville had ever been behind in a game. Duncanville would score twice during the second quarter. Both PATs by Escalona would be good. Quarterback Jackson romped for 48 yards for a score. Javon Fountain added a 23-yard run for a score. The half would end with Duncanville leading 21-14. That strategy seemed to work. 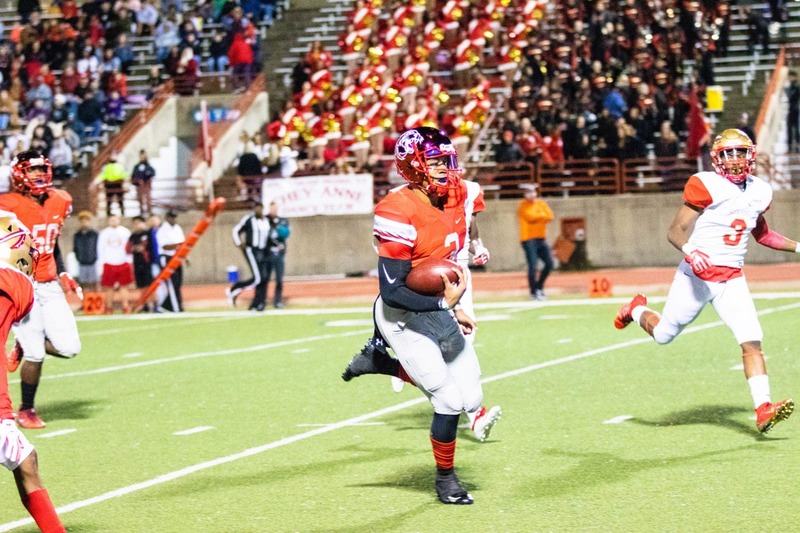 SGP had a total of only 158 offensive yards with 58 yards on the ground. While Duncanville had a total offensive yardage of 325 yards. There was no scoring in the third quarter. Though Duncanville did not score, SGP rarely got out of end-zone-shadow deep in their own territory. Duncanville fumbled three times and lost a costly one that may have cost them a score. They had eight penalties for 90 yards. One penalty called back a touchdown and several others cost them momentum and possible scoring opportunities. During the fourth quarter SGP spent most of their time offensively and defensively near their own goal line. One play was called a safety when the ball was snapped out of the end zone. This gave Duncanville 2-points. Duncanville’s final score came on a seven yard plunge by Jackson. Game would end, Duncanville 30 South Grand Prairie 14. Ja’Quinden Jackson led all rushers 23-183, followed by Javon Fountain 13-113. Drake for SGP led in passing going 11-17-92. Next Saturday at 2 p.m. Duncanville takes on Lewisville at Birdville Stadium at Birdville ISD.